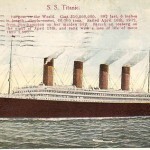 The Titanic was a British four funnelled ocean liner built for the transatlantic passenger and mail service between Southampton and New York. 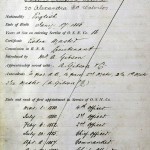 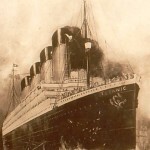 On April 10th 1912 the Titanic sailed from Southampton with 2,200 passengers and crew, four days later the Titanic collided with an iceberg and sank. 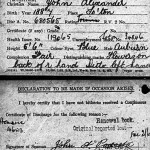 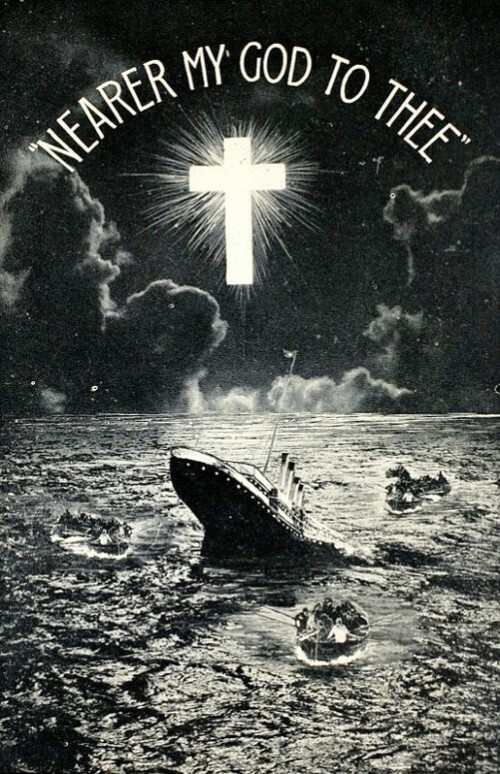 1500 people died and 700 survived. 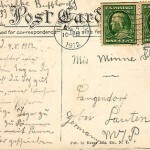 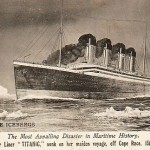 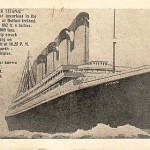 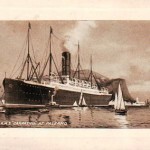 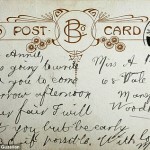 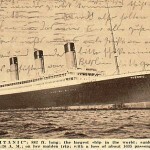 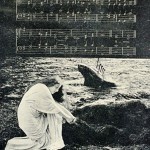 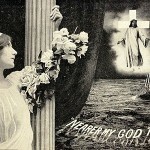 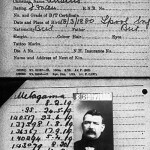 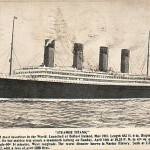 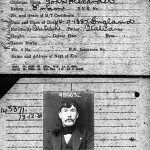 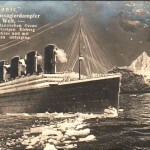 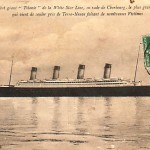 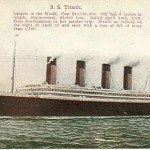 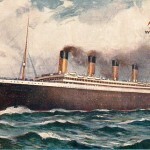 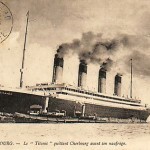 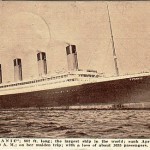 Nearer my God to thee: Eerie postcards mourning loss of Titanic released by original company after detective work by collector. 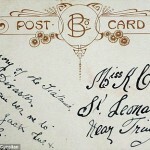 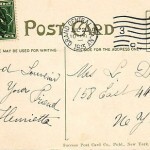 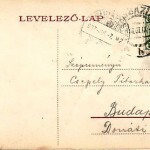 For nearly a century this collection of postcards mourning the loss of the Titanic – rushed out in the aftermath of the sinking – have only been seen by a privileged few. 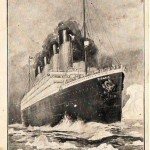 But now the striking images are to adorn memorabilia after a ten-year search reunited them with their original publisher Bamforth’s – allowing them to appear on licensed products for the first time since 1912. 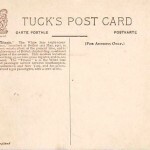 The company is mainly remembered as makers of saucy seaside postcards featuring scantily clad women and jokes about mother-in-laws. 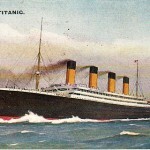 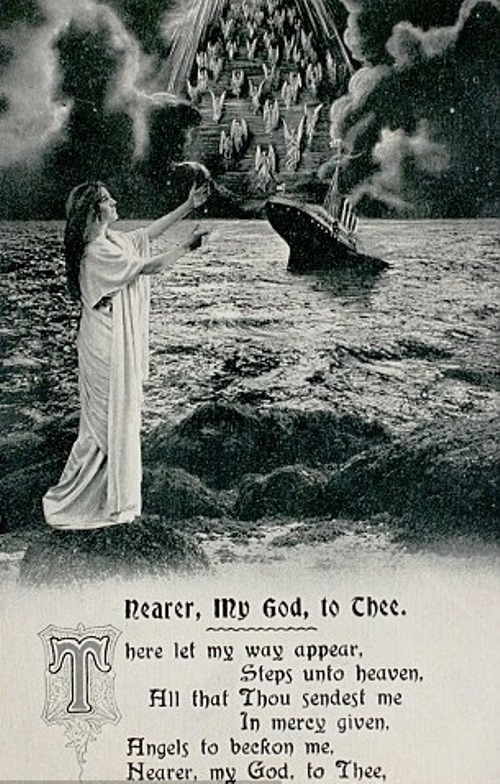 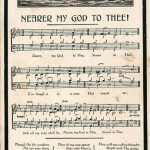 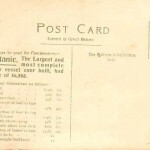 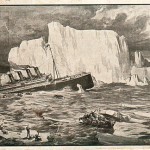 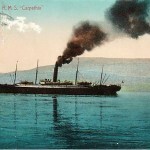 So within weeks of the sinking of the Titanic on April 15 1912 Bamforth & Co, based in Holmfirth, West Yorkshire, published six postcards commemorating the tragic event. 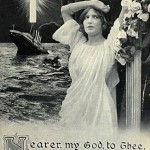 The set, known to collectors as the Nearer My God To Me series, shows a saintly woman in a flowing white gown posed against a backdrop of the sinking. 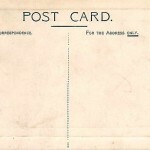 Only a handful of collectors have managed to acquire all six of the cards which now change hands for £40-£60 each.